New Honda Goldwings only come along once every decade or so, and when they do the firm likes to push the technological boat out. And the indications are that the next-generation Wing will ditch its conventional forks in favour of a radical leading-link suspension design intended to cope better with the bike’s massive weight. 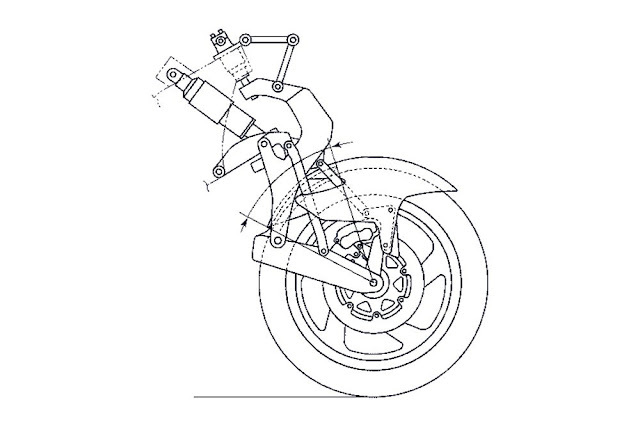 Honda have filed several patents relating to the new Goldwing front suspension. 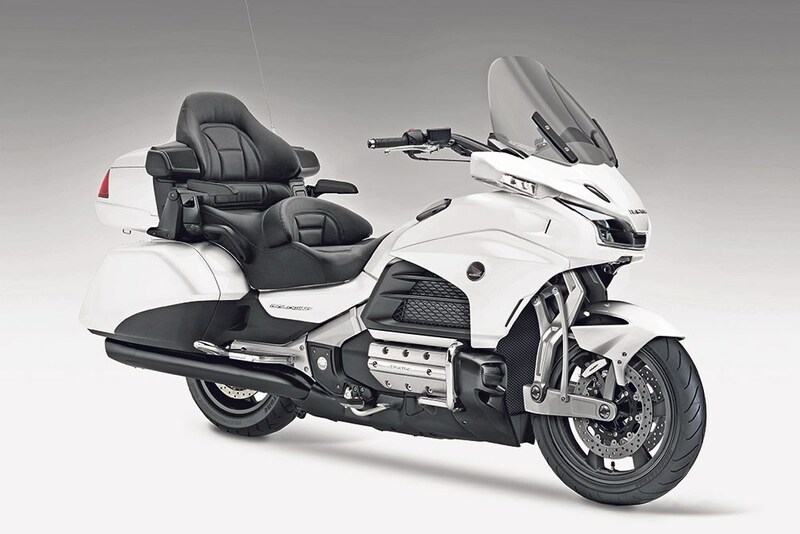 Although the illustrations show it fitted to a current-shape Goldwing, the design is unlikely to appear before an all-new Wing debuts – due in the next year or two. 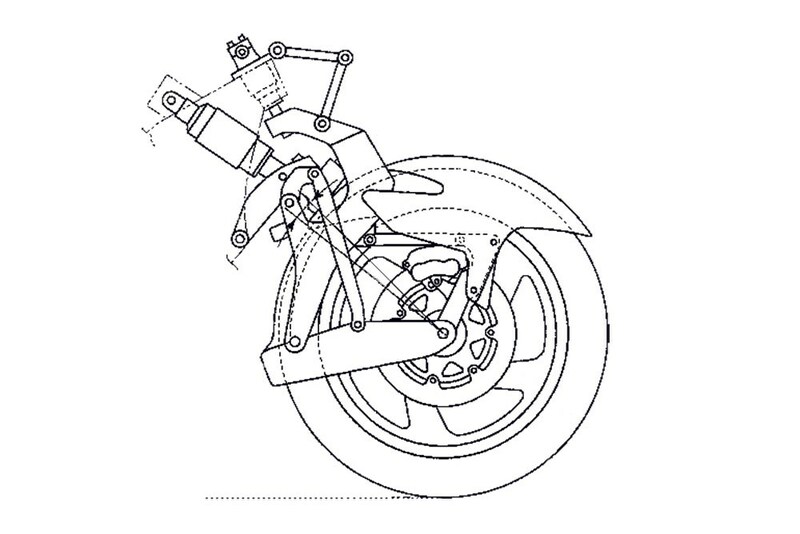 The suspension design is unlike anything we’ve seen before, combining elements of the sort of leading-link layout seen on some scooters with a single, wishbone-operated shock positioned like that on a BMW Telelever fork. It’s a clever design. The front swingarm is attached to a large vertical casting that curves down from the headstock to the rear of the front tyre. The whole shebang turns with the steering to avoid the width and steering linkage problems associated with hub-centre-steer setups like Bimota’s Tesi or Yamaha’s GTS1000. 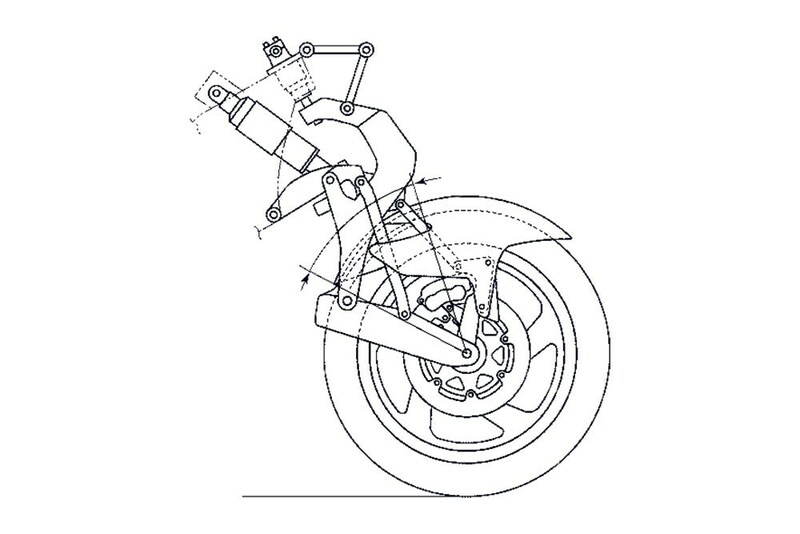 However, the headstock on Honda’s design doesn’t need to carry the stresses of the suspension and braking forces, since those are instead channelled through a wishbone that connects the vertical casting to the bike’s frame just above the engine. That’s important, particularly on a bike as heavy as the Goldwing, where a conventional fork and the headstock area are under massive strain during hard braking. The linkage system also means that the bike’s wheelbase doesn’t shorten as the front suspension compresses, aiding stability. There’s also an anti-dive effect built in, thanks to the adjustable link between the front calipers and the vertical steering casting. The use of a single front shock, tucked back above the engine, helps with mass centralisation. It also allows for a rising-rate linkage, like those normally fitted to a rear shock.